Rooting allows you to get full control over your device, Stock apps and mods are good, but installing Custom Mods gives you better support and great battery life, you might need to delete some Stock apps from the device, a non-rooted device can’t do that, but a rooted one has the power to remove stock apps too.There are probably thousands of rooting methods available for Android devices, some are specifically design for specific devices, some are for more than one device, some are only for flagship devices, Like Framaroot. It allows you to root your device without any flashing process. 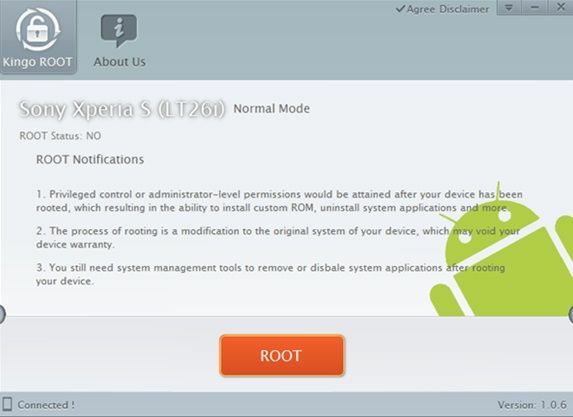 It will automatically root your device but as usual it is not for every device. Then there is this Kingo Method, a little draw back is that it is only available for Windows devices but on the other side it can root more devices than Framaroot with just one click. Check your device model, Go To Setting > Developer Options and Enable USB Debugging mode. Rooting an Android device Voids Manufacturers Warranty, this Rooting method is tested and Found Working. If you don’t follow the Procedure as we instructed, You only are responsible for your device. We won’t be liable if any damage occurs to your device and/or its components. Double Click the .exe file and Install it. Click Next and wait for the drivers to Be installed. Once done, unplug your device as prompted. Plug-in the device as said on screen. Click Root button and wait for it to root your device.